I find it very hard to believe that I haven’t written a blog post in over a year. So much has happened in my life since that last time I posted. I am happy to say that it has been a fun filled and exciting. Last March our daughter Elizabeth and her boyfriend Garrett got engaged. We could not be happier! They are two amazing individuals and we wish them a life time of happiness. A huge surprise to us was that fact that in order to find a venue in Maine for a summer/fall wedding you need to start looking almost 18 months in advance! So that being said – let the games begin. The wedding planning is well underway and we are looking forward to an amazing event in August. 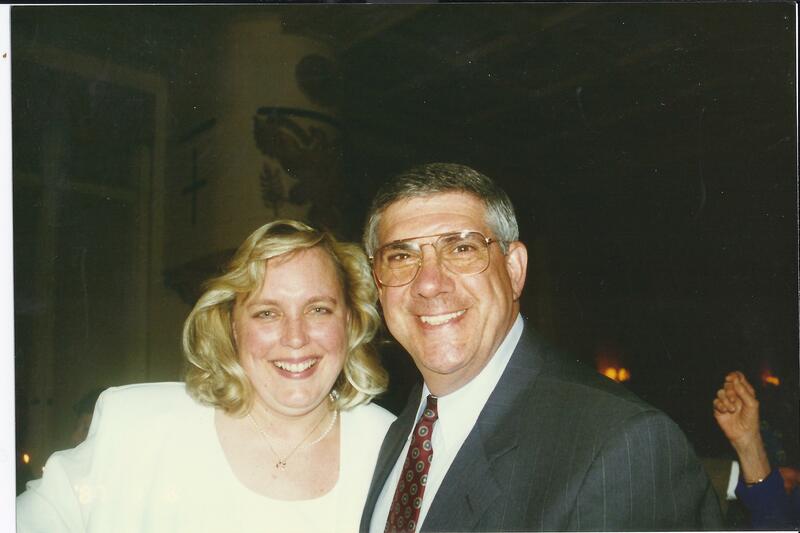 Elizabeth and I have had a lot of fun discussing how to make this wedding a special day for everyone involved. 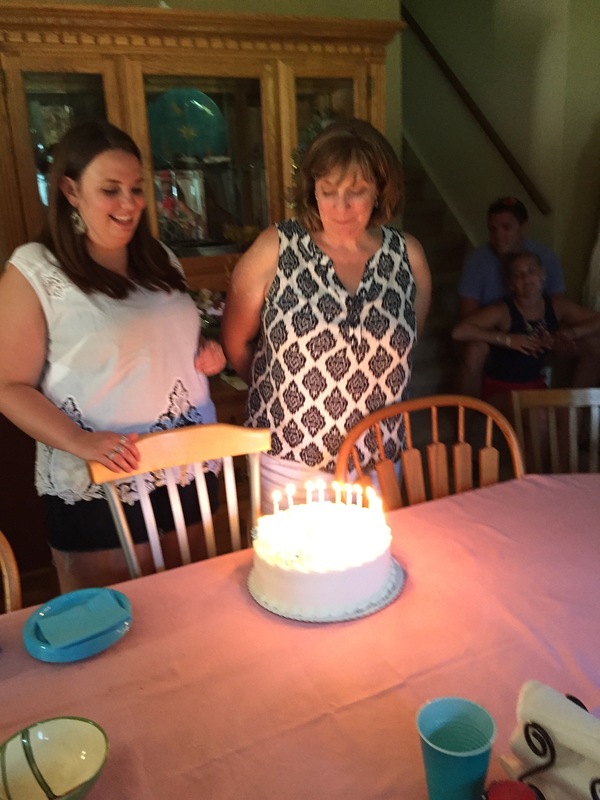 In July we celebrated birthdays – a lot of birthdays but 2 very special milestones were hit. 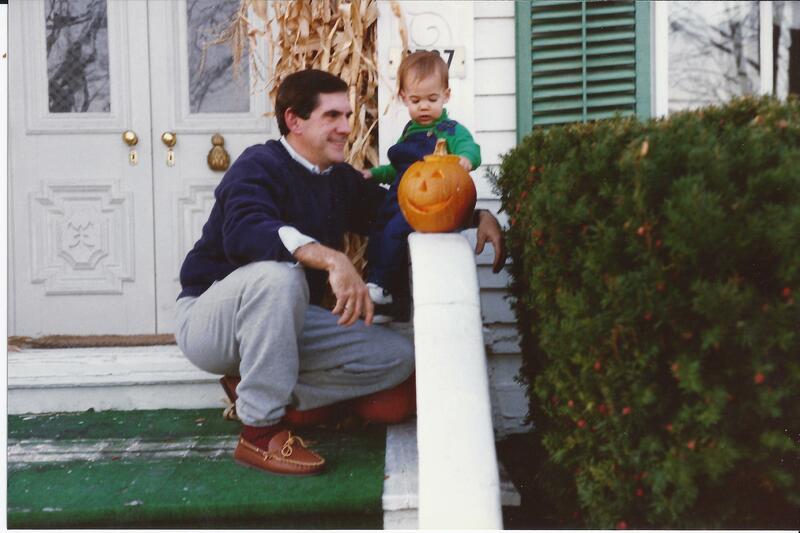 I am reluctant to say that I turned 60 and my son Charles turned 30. 15 days apart. Those are some big numbers for both of us and because of that an amazing party was thrown in our honor by Chuck. Charles and I were very happy that so many of the people we care the most about were able to come and join us for our “BIG” celebration. We had friends and family from all over and it was a really special day for both of us. 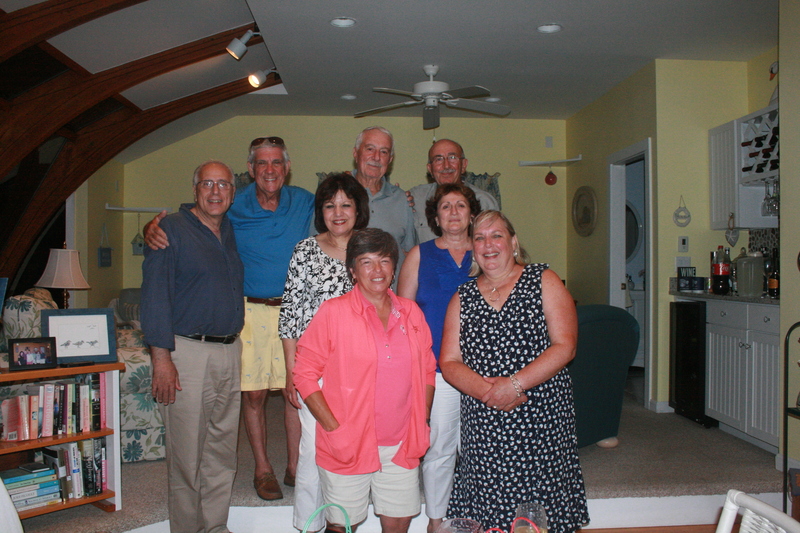 The party was amazing – and since I make quilts I made a quilt for Charles for his birthday. I had started it a while ago with the idea of giving it to Charles and then I made it a point to get it done this past summer for his birthday. Once the celebrations were over and life settled down a bit I made a couple more quilts. The next project was a wedding quilt for a young man and his new wife. They got married in September at a beautiful Inn in Vermont. It was a perfect day for a wedding and we had a fabulous time. This is a picture prior to quilting. Here is a picture of the newly married couple. 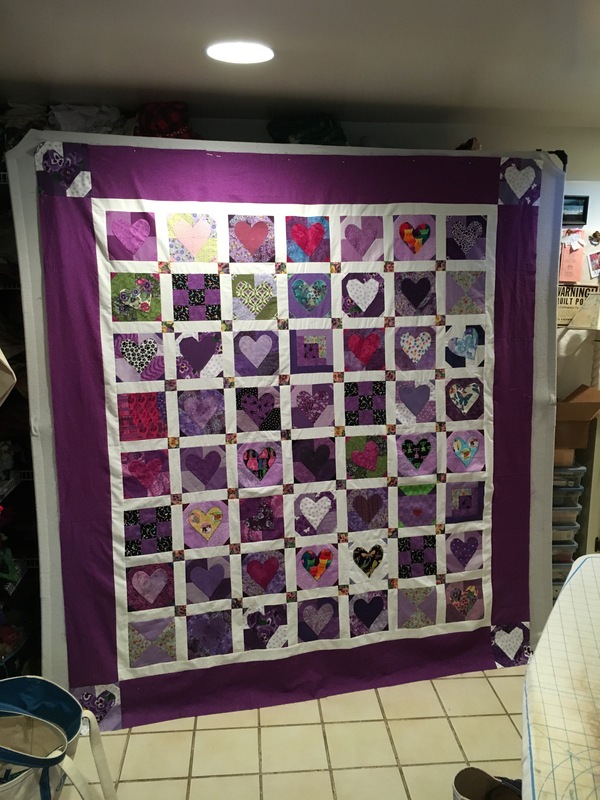 I love making quilts for people knowing that it will be something that they have for along time. The summer came to an end and fall arrived. I am never sorry to have the heat of the summer leave – I do love the change of seasons and Autumn is one of my favorite times of year. This past fall was lovely here in Maine. I will be back tomorrow with another update on what is going on in my life. 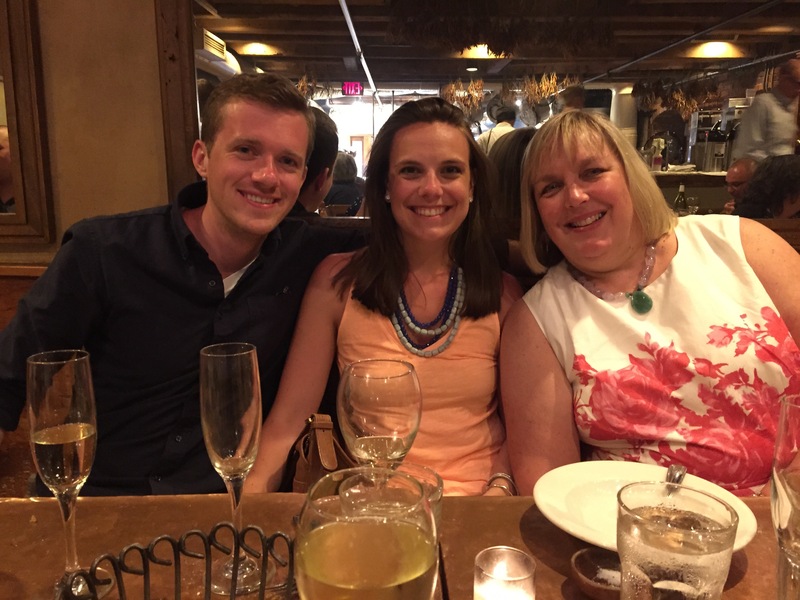 It has not been an uneventful time lately – lots of changes. July is a very, very, very busy month in our family! 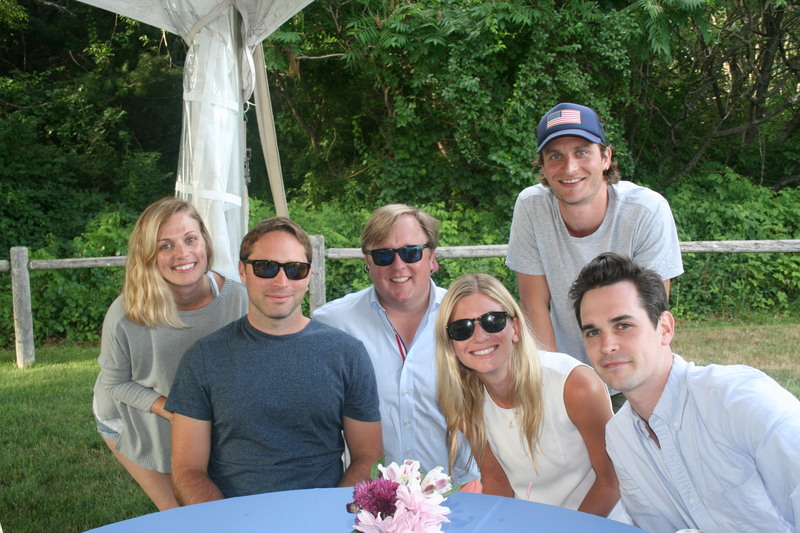 6 birthdays, the fourth of July and tons of stuff to do outside. We have had company, we have been company and we had some staycations. 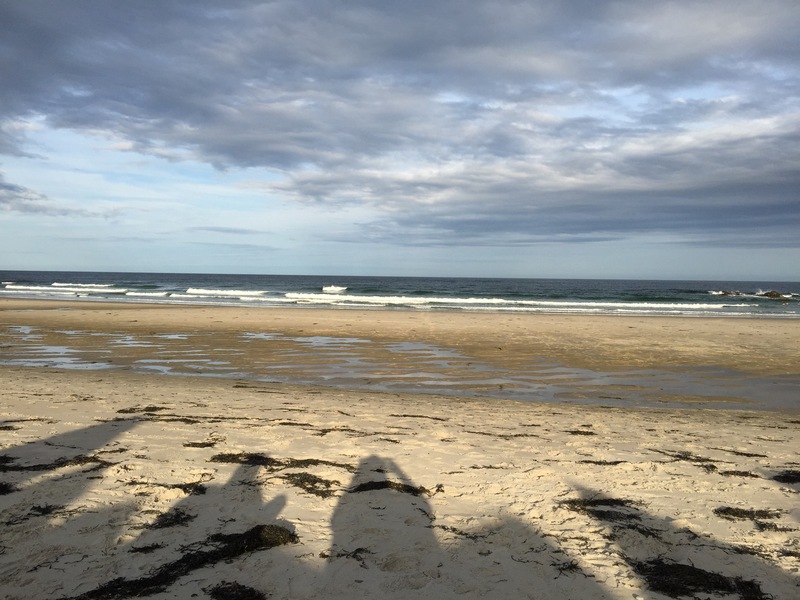 One night we got take out and went to the beach. 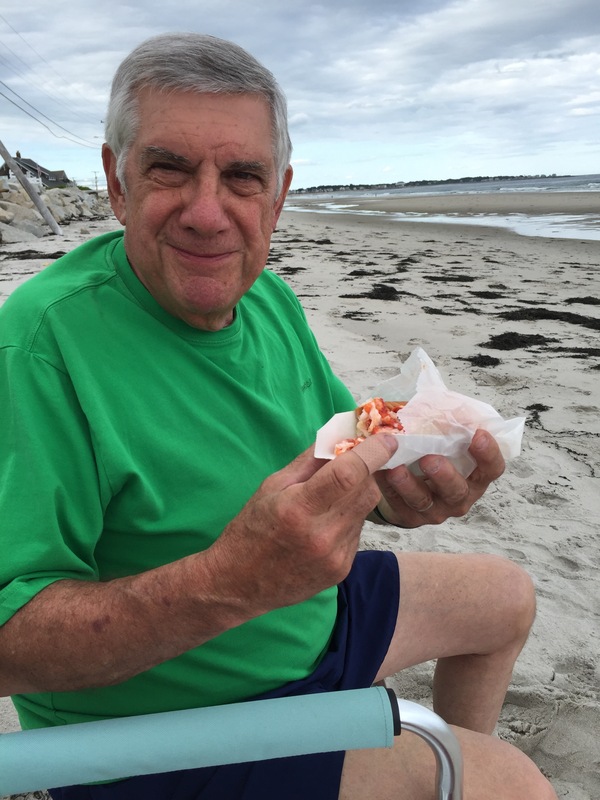 Grabbed a couple of bottles of beer and enjoyed a lobster roll just like the tourists do. 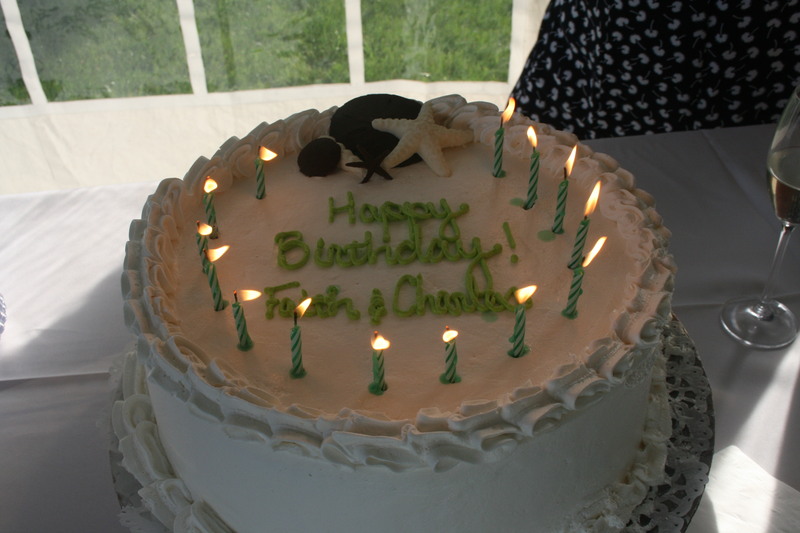 Chuck and Charles had a birthday! 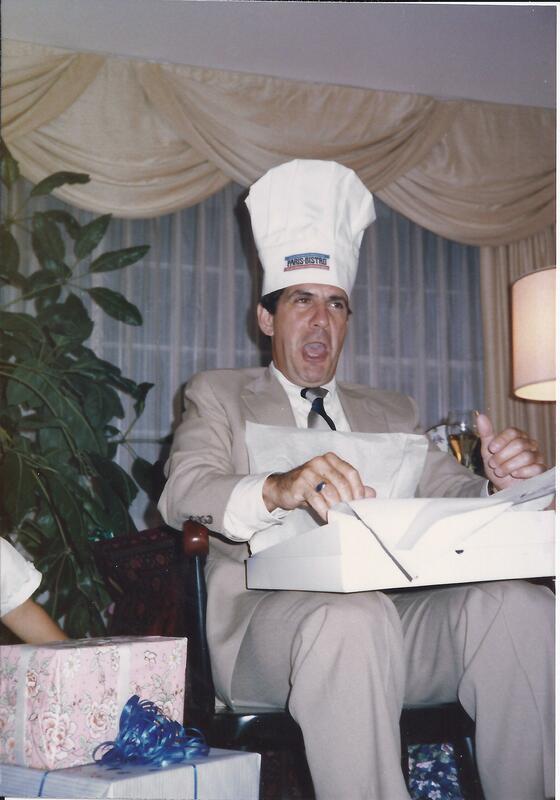 and we celebrated frequently and with great joy! 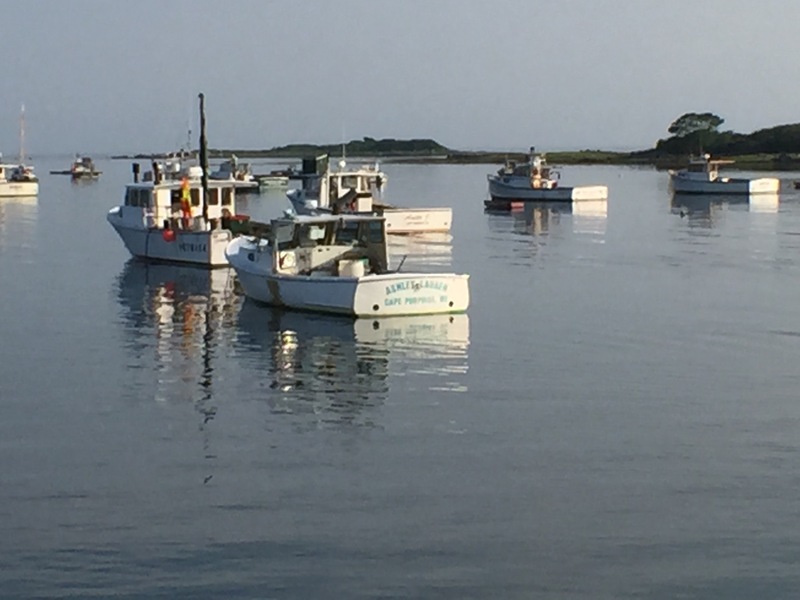 We went to dinner at the Ramp in Cape Porpoise for yet another birthday dinner. I certainly can’t be expected to cook on my birthday. It was a beautiful evening and I had the seafood stew which has never disappointed! It was wonderful! 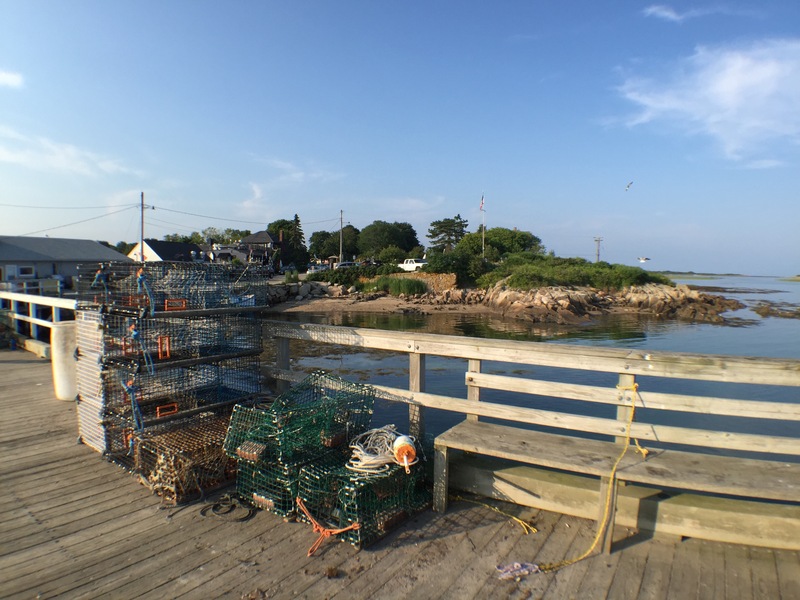 Cape Porpoise, Maine view from the dock. So in review July has been a very busy but wonderful month. August is here and it will be a bit calmer but no less wonderful. The end of the summer is looming and although I love the cooler weather I am not ready to think about the end of summer just yet. I want a few more days relaxing in my beautiful yard. in Maine. 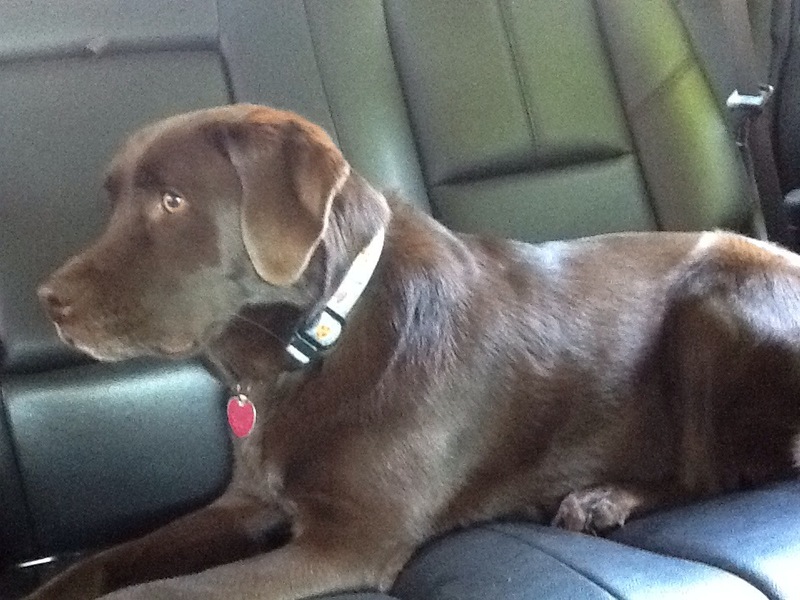 About a month ago Chuck and I decided to take a ride, we loaded Gracie into the car and headed northeast. 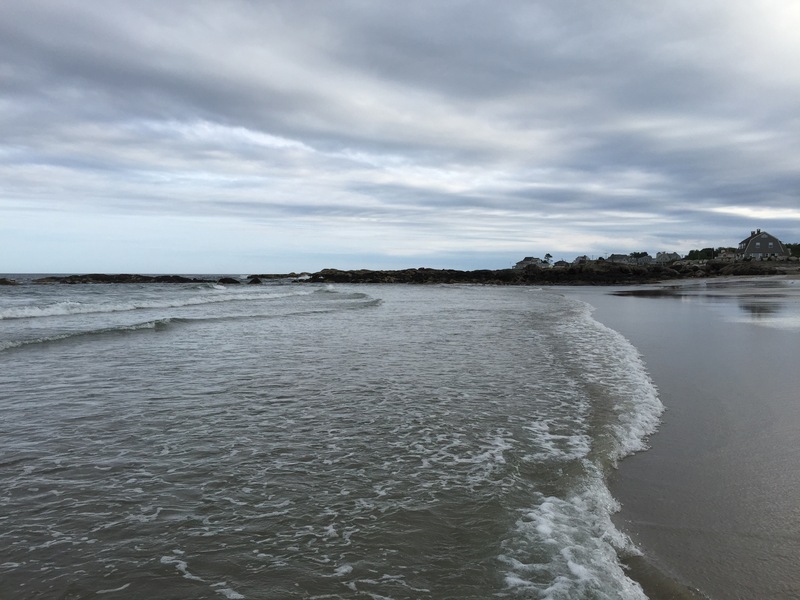 There are so many amazing places to visit in Maine that we often have a hard time deciding where to go. 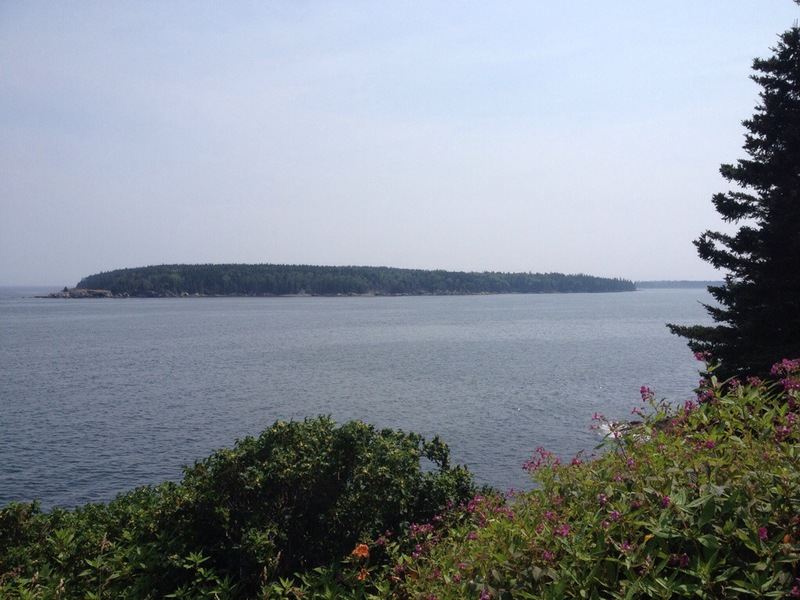 Chuck had read about Owls Head, Maine in Downeast Magazine. We read that there is an amazing little general store where you can get “the best hamburger in Maine” It is called the Owls Head General Store and let me tell you they have the best hamburgers in Maine. 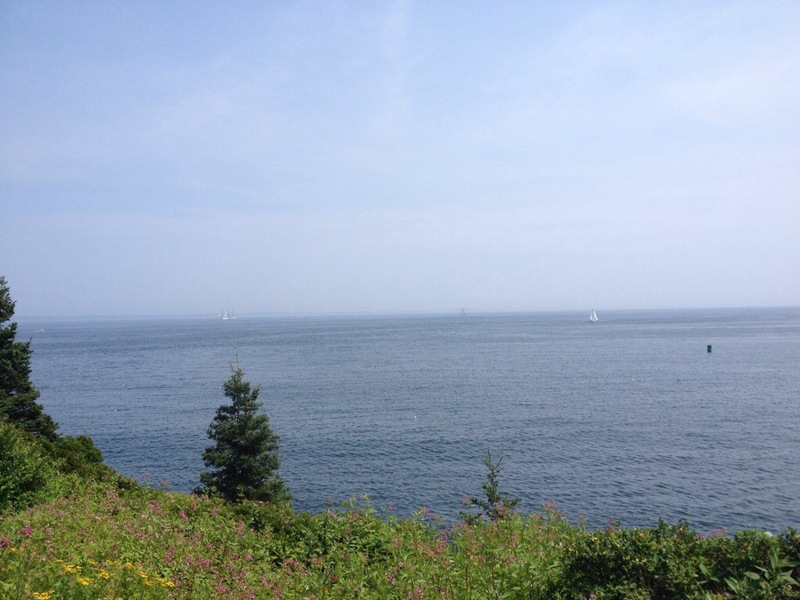 We grabbed our hamburgers, chips and lemonade and headed to the Owls Head State Park. It was a beautiful day so a lot of people had the same idea. 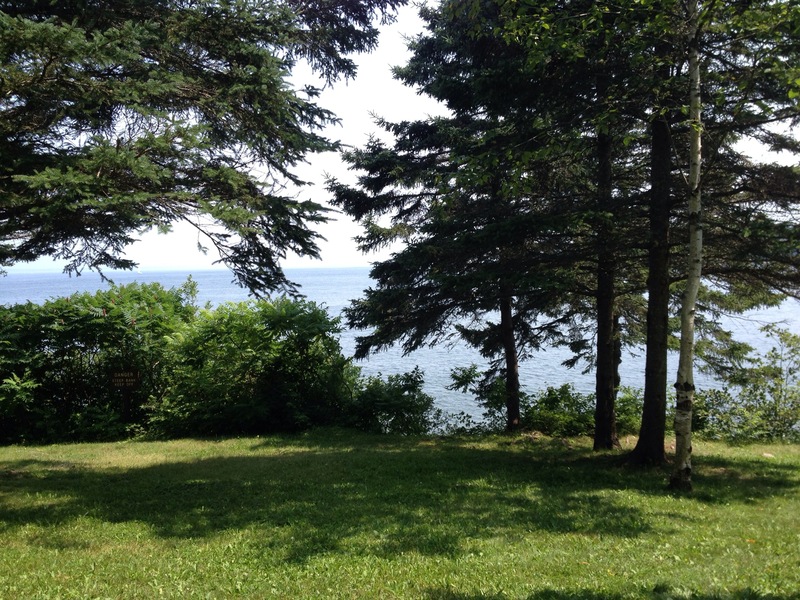 We spotted a picnic table in the shade with an amazing view and plopped ourselves down to enjoy “the best hamburger in Maine”. 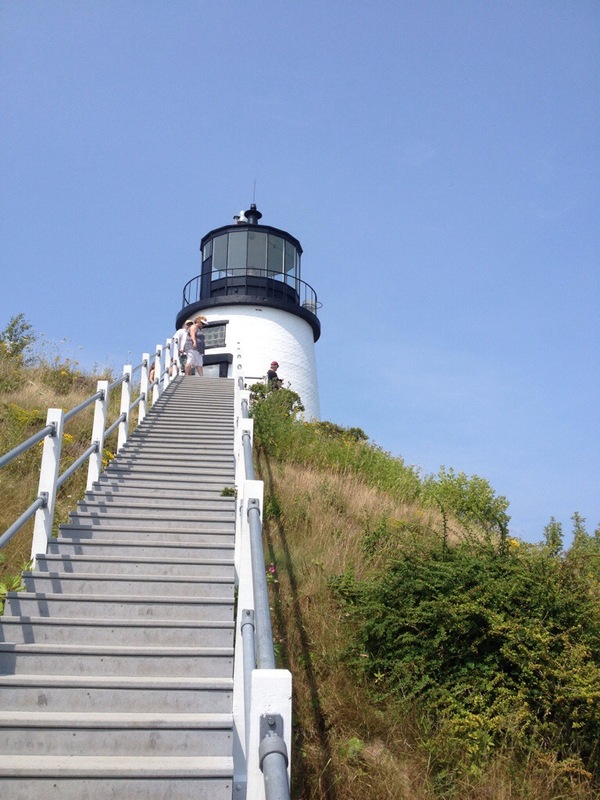 The lighthouse is a short walk from the picnic area. 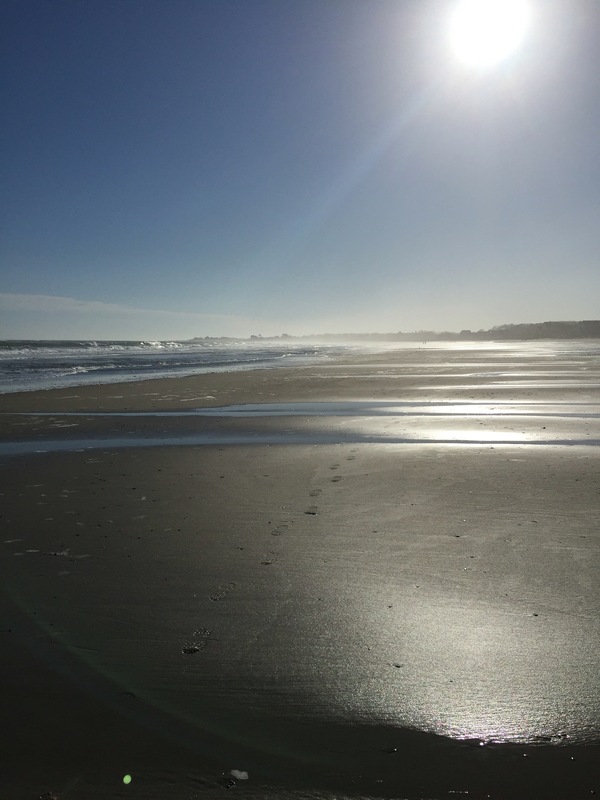 I love lighthouses – I love the views that you see at lighthouses, typically they are situated in a spot where it can be seen for miles – because of this when you visit the lighthouses the views go on for miles. 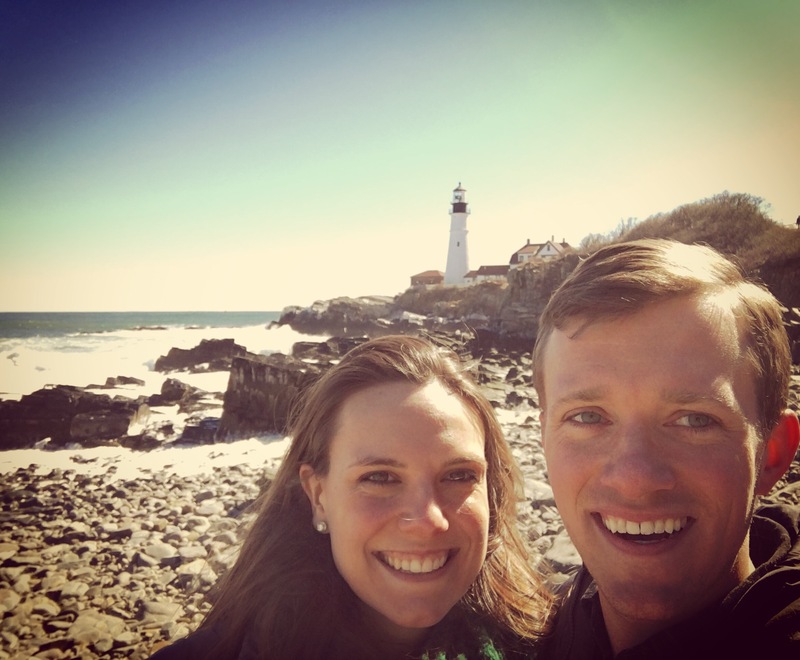 We love visiting the Lighthouses of Maine. There are a lot that we have not seen yet but we have a list and one by one we will be checking them off of our list. Many we will visit more than once because they are such special places. Of course during this ride we went past a few quilt shops – during that time of year many quilt shops through out the country were participating in a program called The Row by Row experience. The shops that were participating have designed a row, you collect the rows from the various shops and then make a quilt out of them. During the summer I was fortunate to collect patterns from Maine, New York, Vermont and New Hampshire. 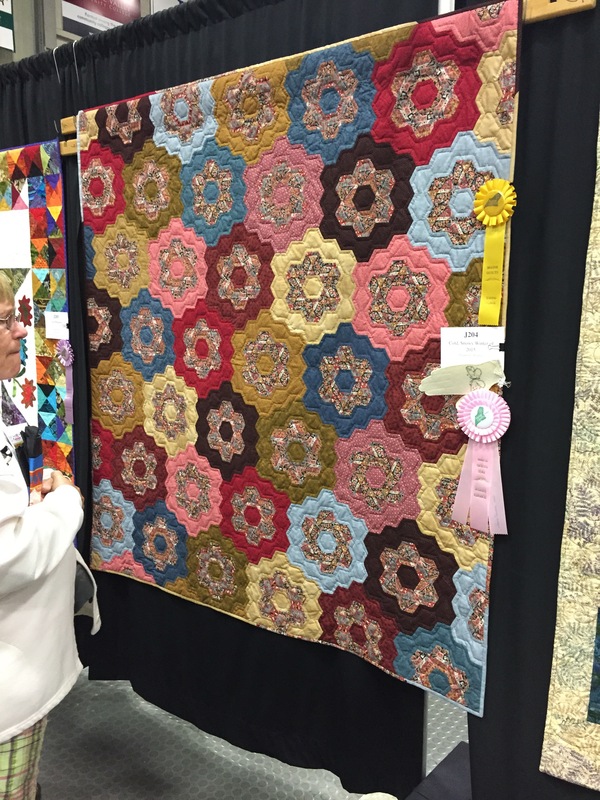 The quilter who gets 7 rows made into a quilt first and brings it to a participating shop wins a prize. I have not even started mine yet but I will make the rows and show them to you at some point. Chuck and I had a wonderful day, we saw some beautiful views and in the end had an ice cream cone. 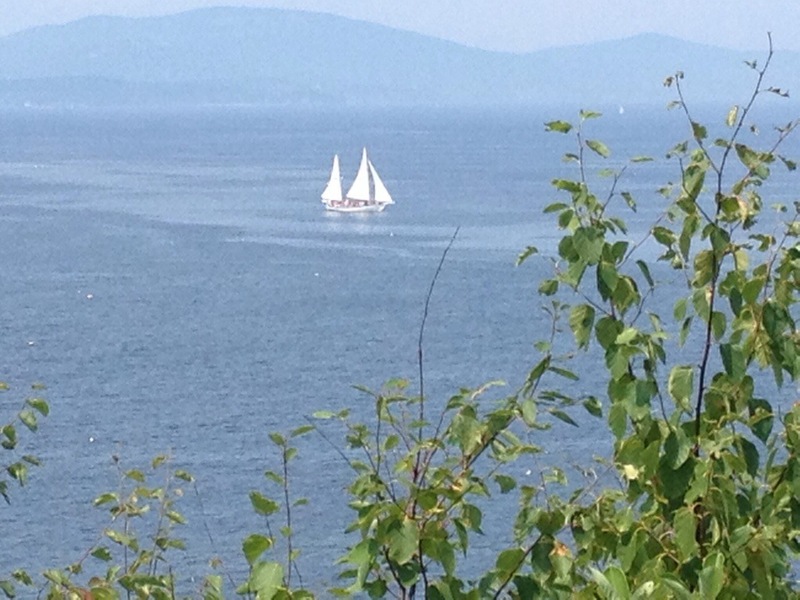 What more can you ask for – lighthouses, quilt shops, good food, great company, a dog and an ice cream cone. Seems like a wonderful way to spend a summer day. in Boston. A couple of weekends ago we loaded up the car, dropped Gracie off and the kennel and headed south to Beantown. 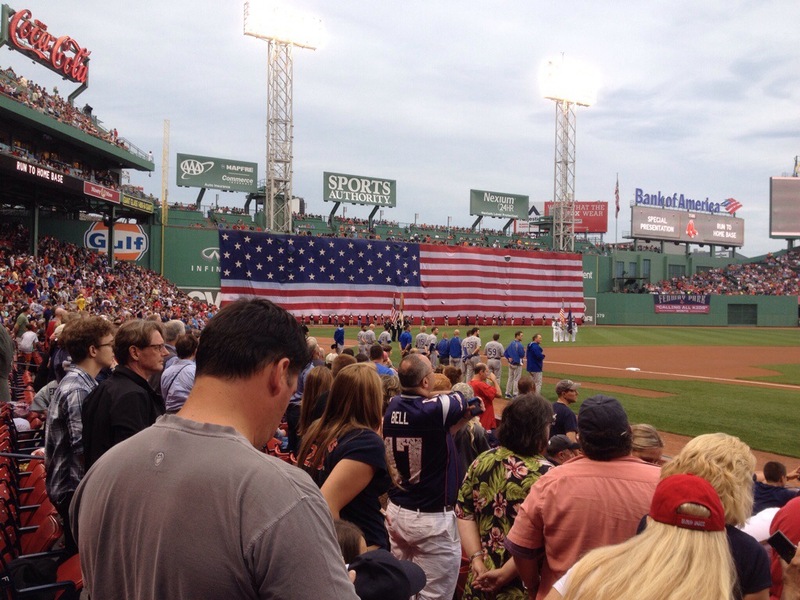 We were going to visit our daughter Elizabeth and spend the day wandering around Boston and seeing the Red Sox. 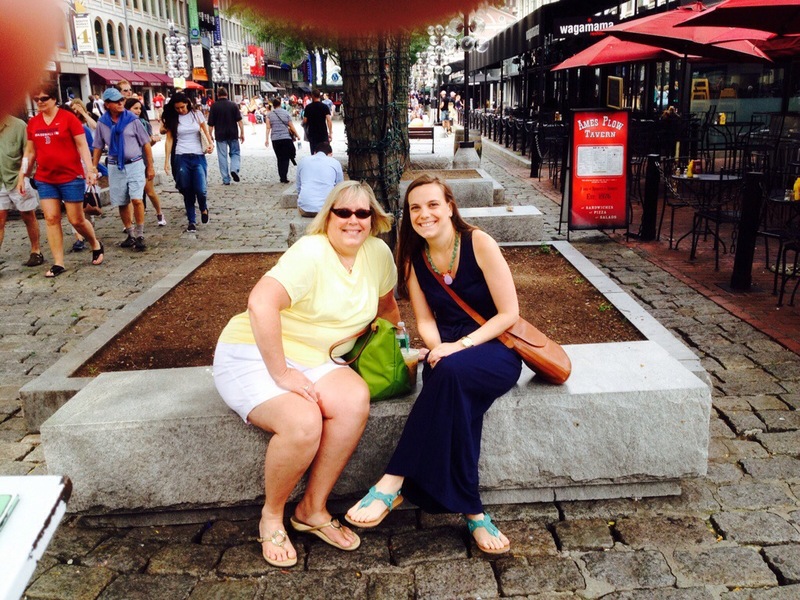 Our first stop was the Quincy Market – we went for a walk around the business district. Had to get our steps in for the day. 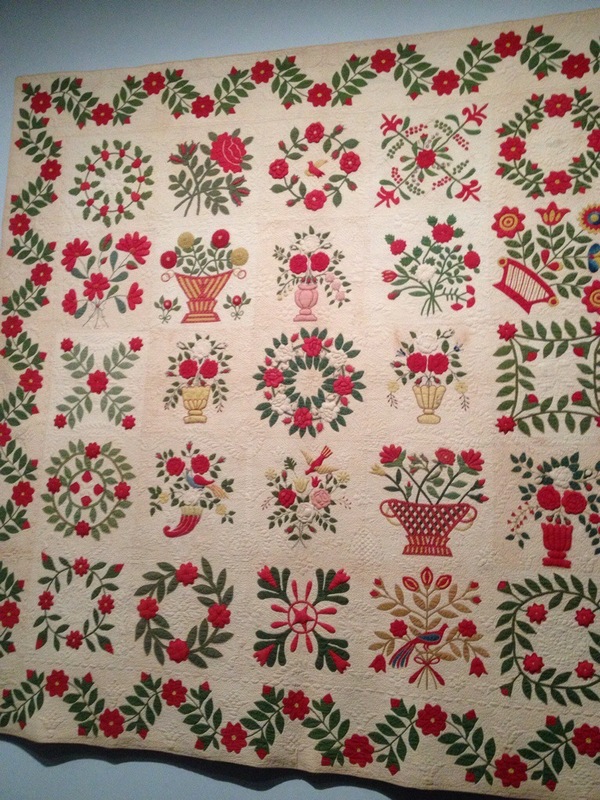 Our next stop was the Museum of Fine Arts Boston to see the Pilgrim/Roy Collection of antique quilts. 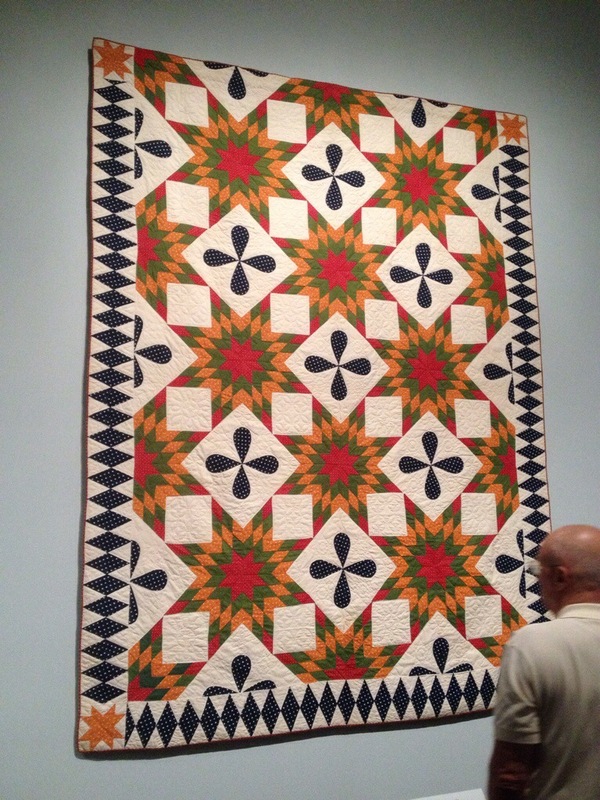 The quilts were amazing!!! I had a wonderful time looking at them and getting inspired once again to go home and make quilts. Here are a few of my favorites from the collection. 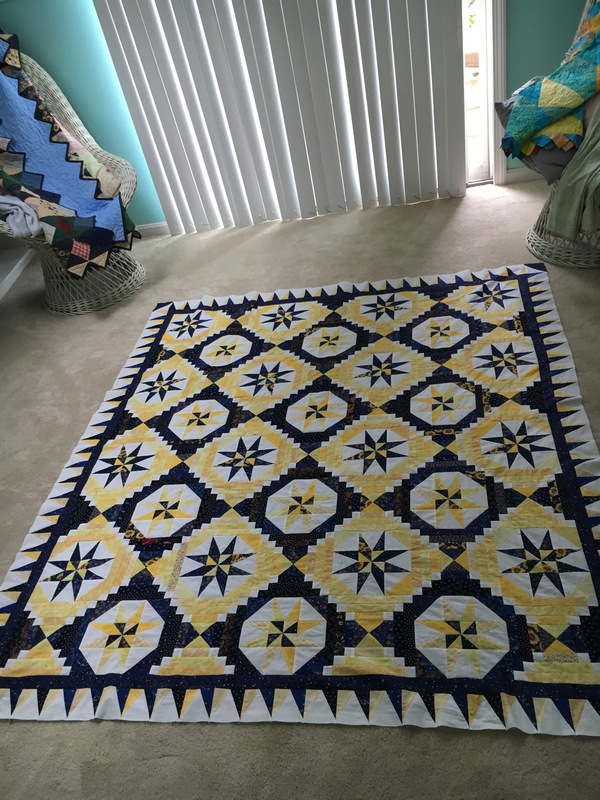 Four Poster quilt – this was made to fit a 4 poster bed. 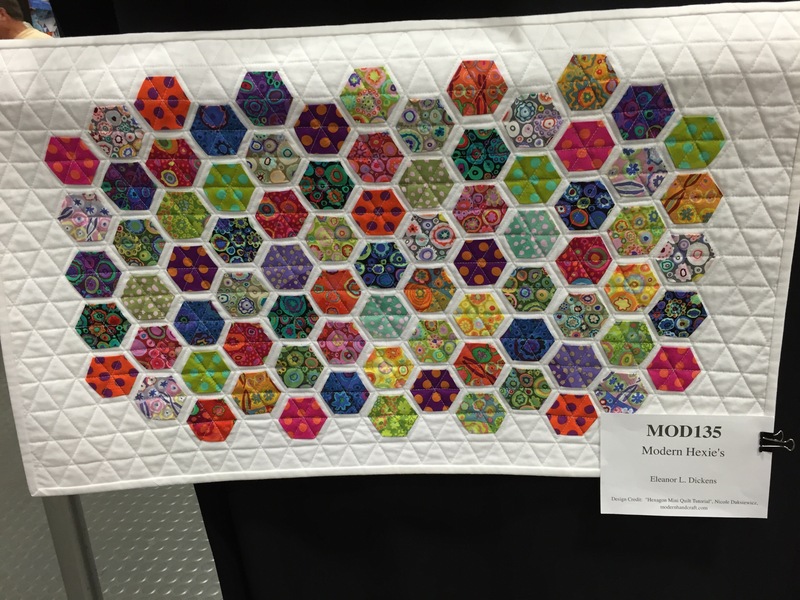 I love the half blocks on the sides – you almost never see this in quilts made today. 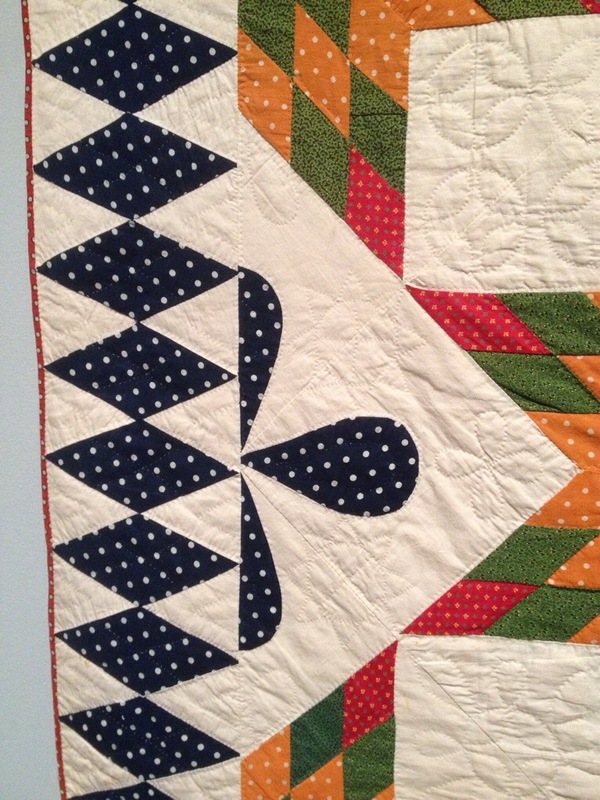 love the simplicity of the design and the amazing quilting. 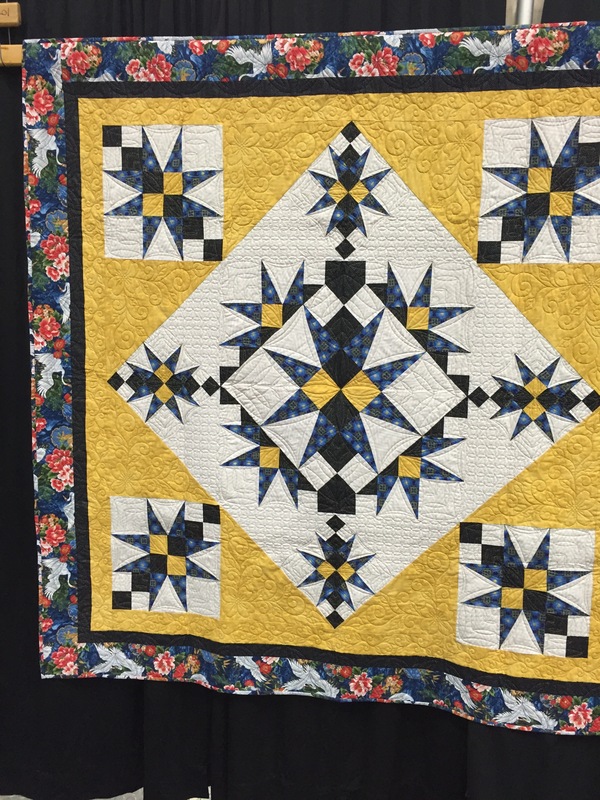 When you think about the fact that most of these quilts were made in the 1800’s – they were hand pieced, machine pieced and hand quilted. 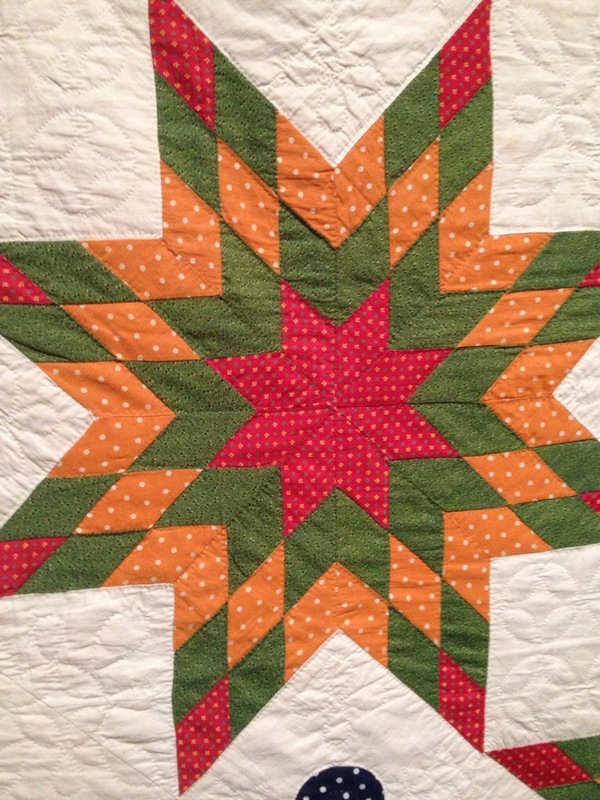 There were no rotary cutters, none of the tools that we use today to make our quilts complete. 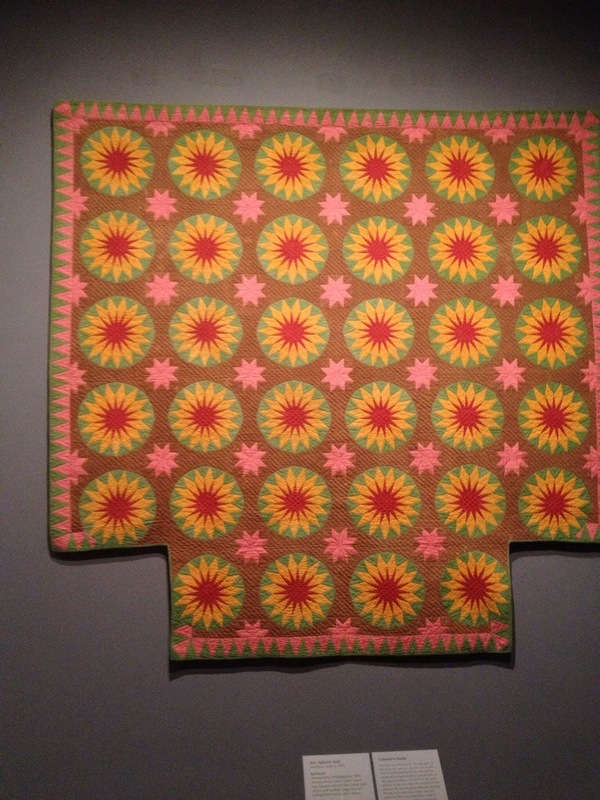 It was wonderful to be able to see these quilts in person. 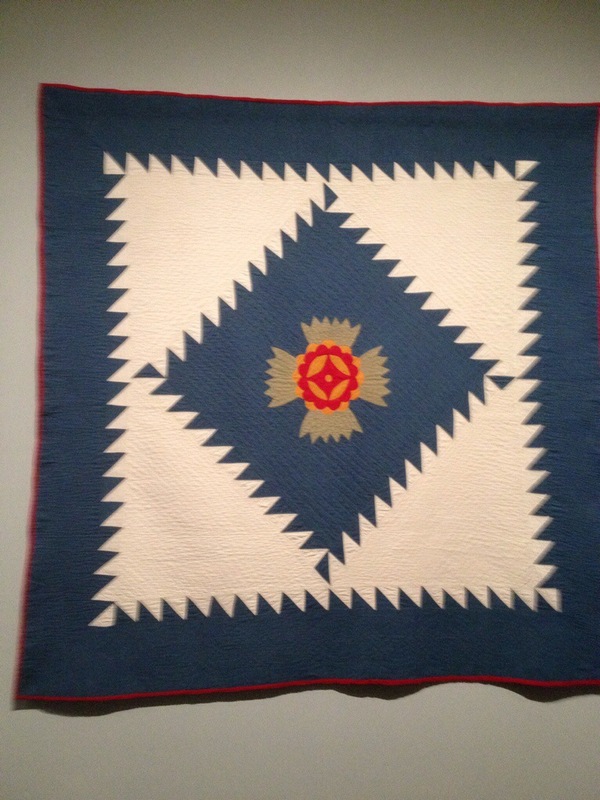 They were displayed in a way that allowed you to really see the details and the workmanship of the quilts. We had a lovely light lunch at the museum and then continued our Boston fun. We headed back to our hotel to relax for a bit before dinner and the game. It was so nice to spend time with Elizabeth – we had a cocktail and a cheese and fruit platter and wonderful silly conversation. 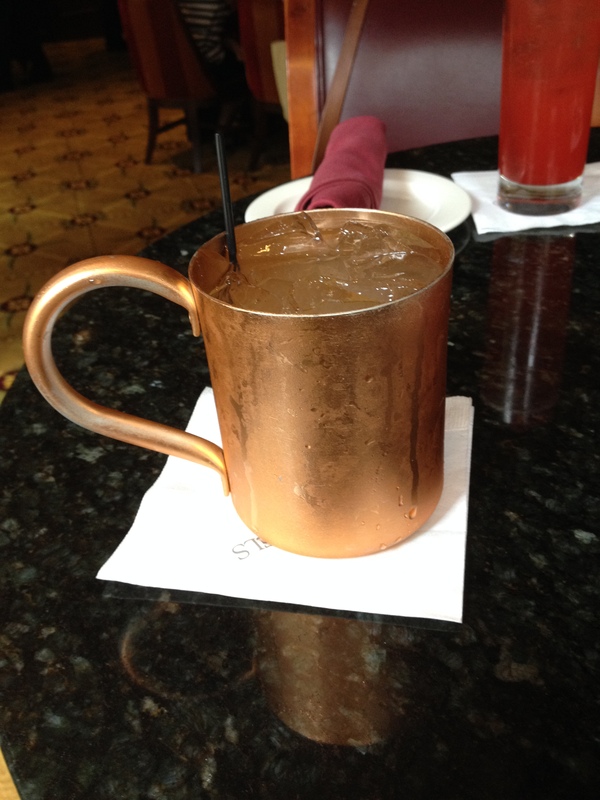 I tried a Moscow Mule and I just might have to purchase some of these fun copper cups and have a Moscow Mule Party. 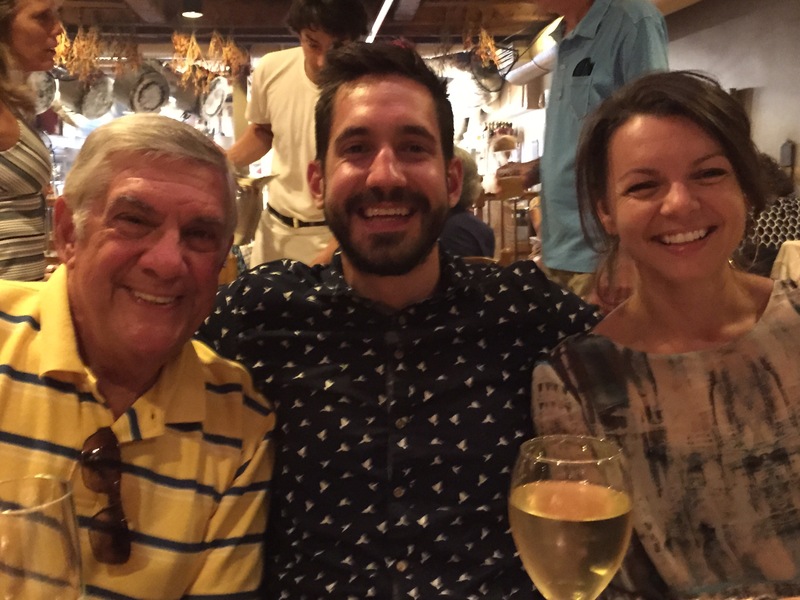 Dinner was early and Garrett – (Elizabeth’s boyfriend) joined us at Stephanie’s on Newbury. We had a very nice dinner and then walked to the park. The Red Sox won the game that evening- we had a wonderful time and then went back to our hotel for a nightcap and some more conversation. Overall the day was relaxed, fun and exciting. 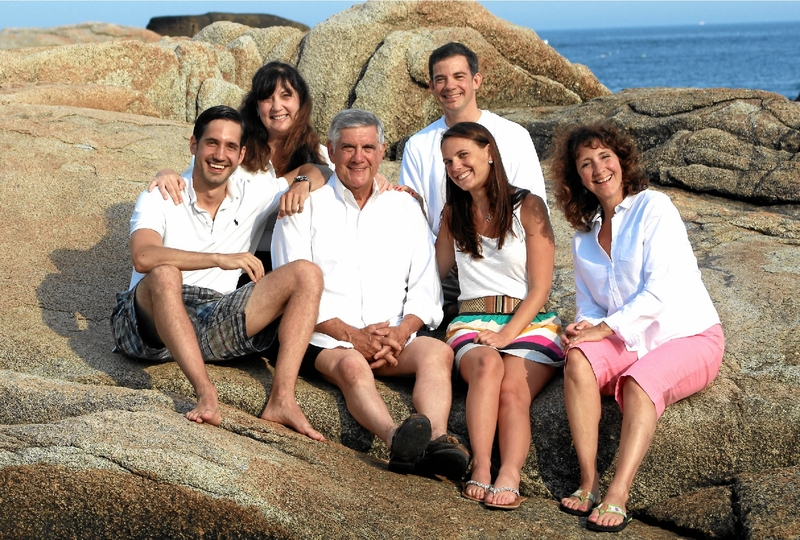 Boston is a wonderful city – it is easy to get around and it has always been one of my favorite places to spend a day. We were up early the next morning so that we could pick Gracie up at the kennel. Gracie was very happy to see us and to be home and Chuck and I were happy to be home as well. 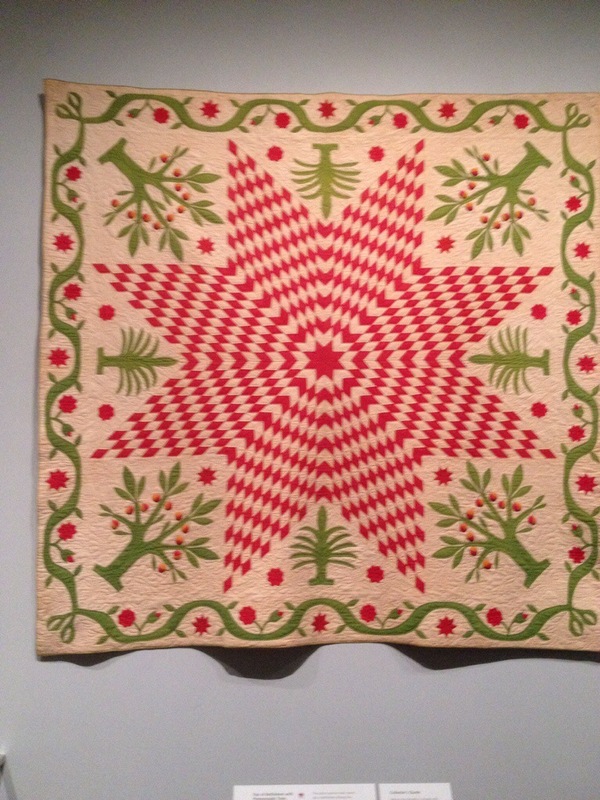 I will post more pictures from the museum tomorrow – there are some more amazing quilt to see. My birthday card to my husband…. 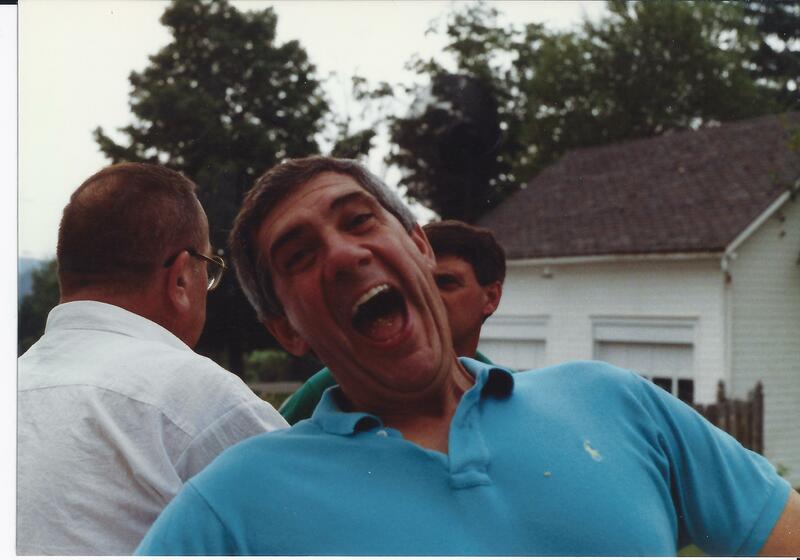 Today is my husband Chuck’s birthday. 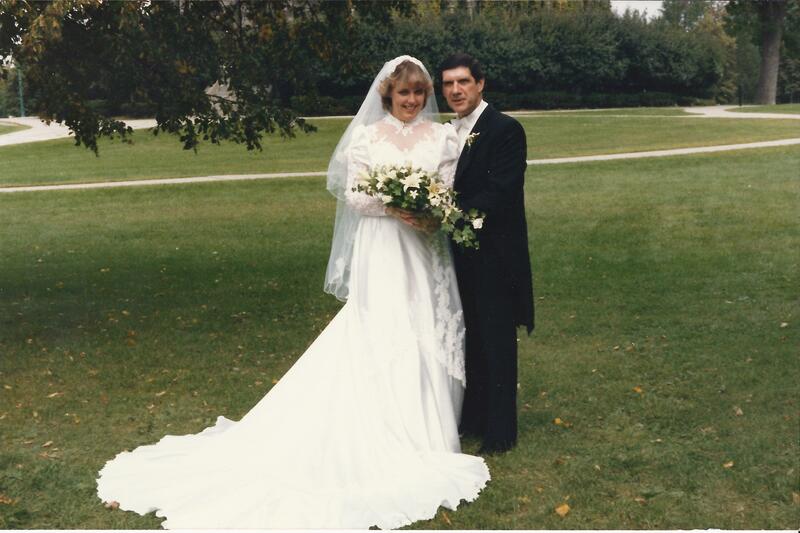 We have been married almost 29 years and they have been the most amazing years of my life. 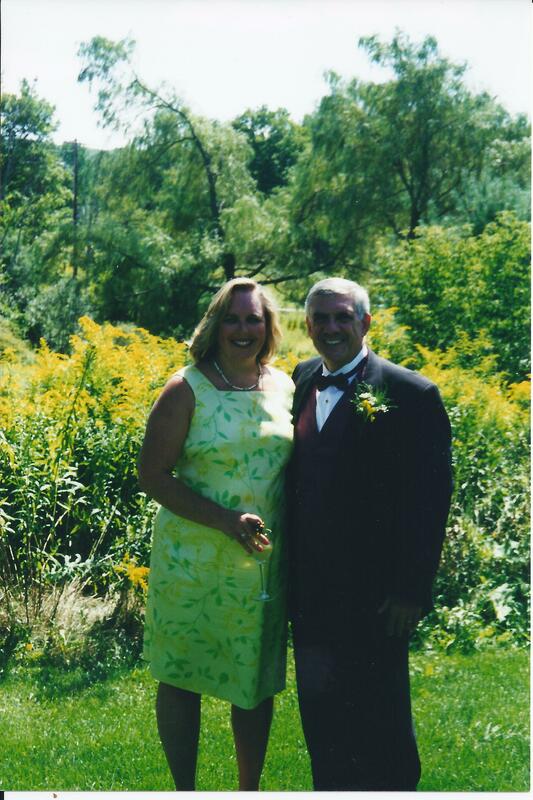 When I think of the young woman that I was when I met him and the woman that I am now, the change is amazing. 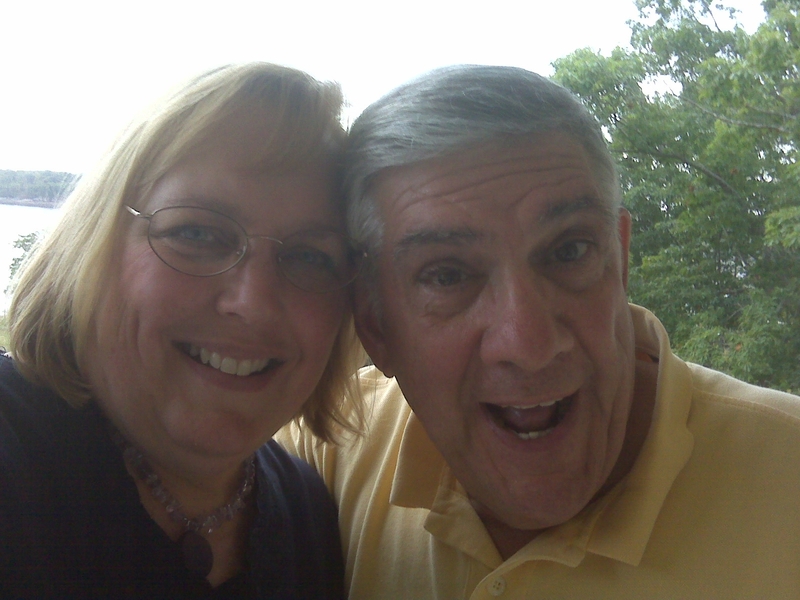 Deep down inside I am the same person but we have had so many wonderful adventures over the 33 years that we have been together that we have grown together into a couple. 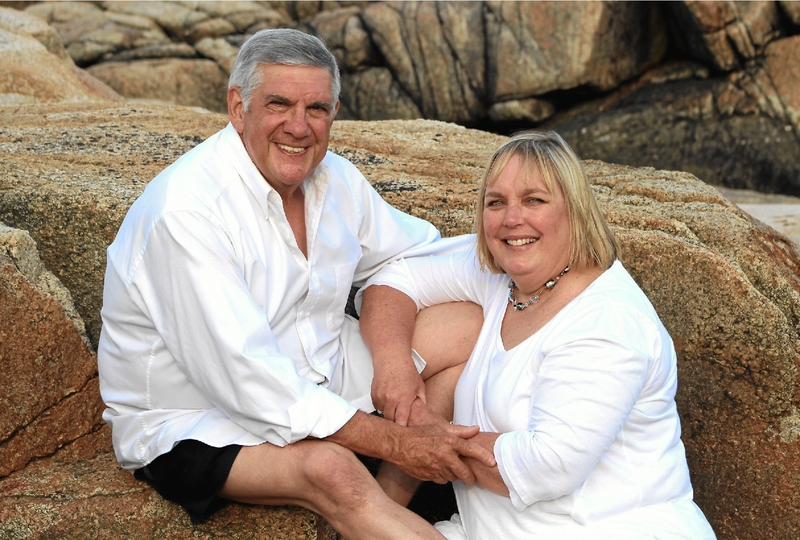 Here is a pictorial of our wonderful life together. 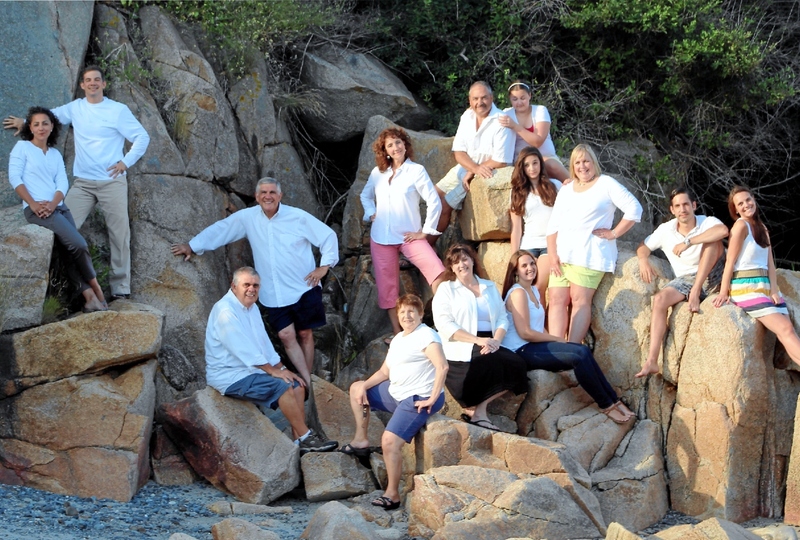 Most of our fun involved family! 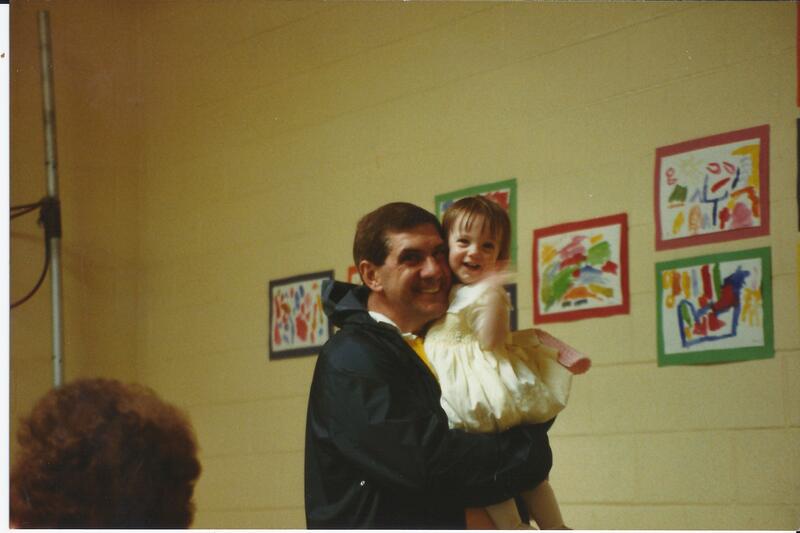 So Happy Birthday Chuck, you are the love of my life and my best friend – I can’t wait to see what the future holds for us, I know it will be filled with love and family and fun. In a few hours the first of our 4th of July guests will arrive. For the past 10 years all of our kids and other various friends and family have been joining us here to celebrate the Fourth of July. This year we will total 15 for the weekend and 20 or so for the actual Fourth of July celebration. 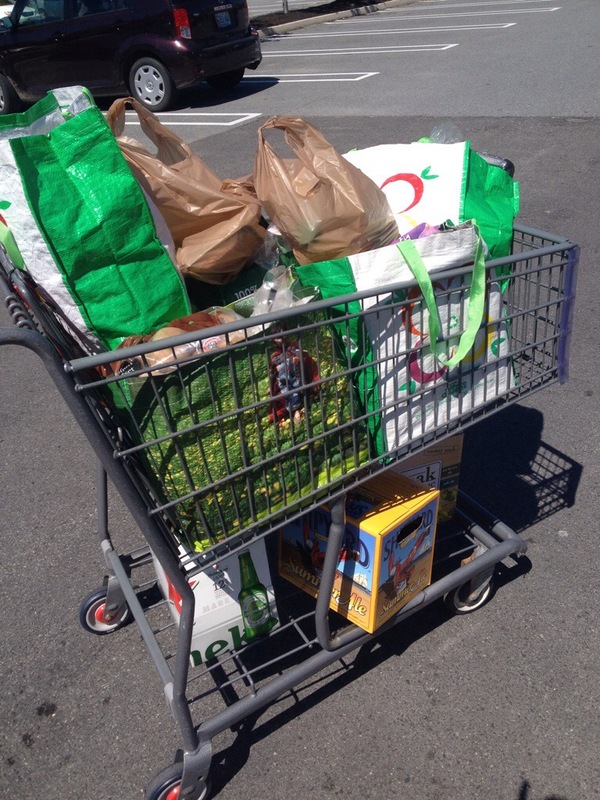 We went to the market yesterday and will make 2 more trips before next weekend is over. 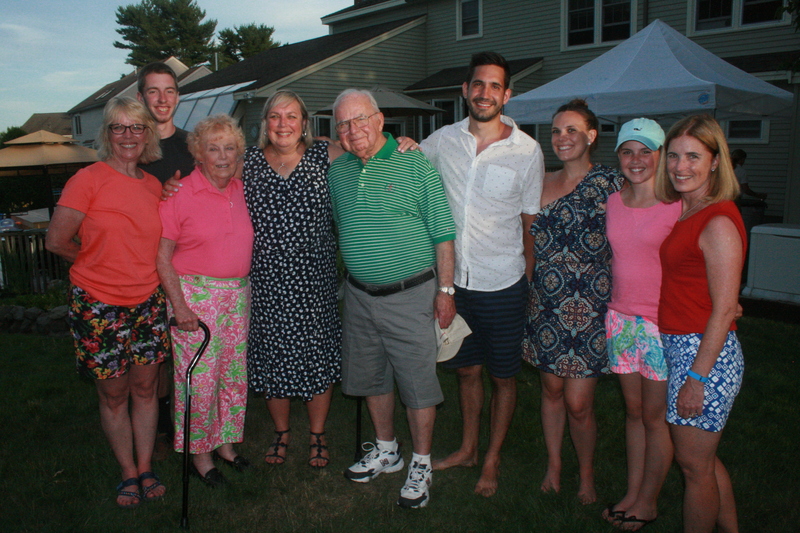 It is a wonderful family reunion every summer. 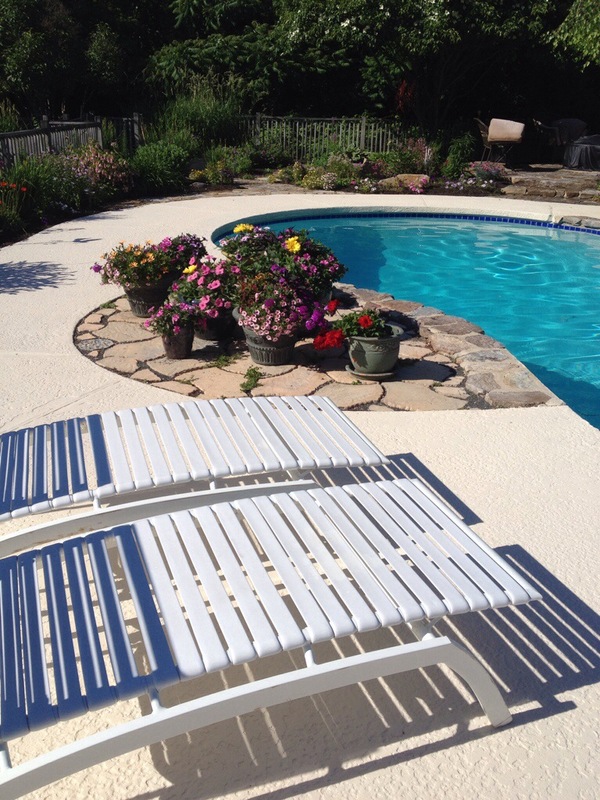 We will spend time on the beach, in the pool, and around the fire pit in the backyard. We will play games and tease each other and reminisce about visits to the emergency room during past visits. It seems that there is always one trip to the ER for some sort of injury, usually it is nothing life threatening but on one occasion it was an almost ruptured appendix – Elizabeth. 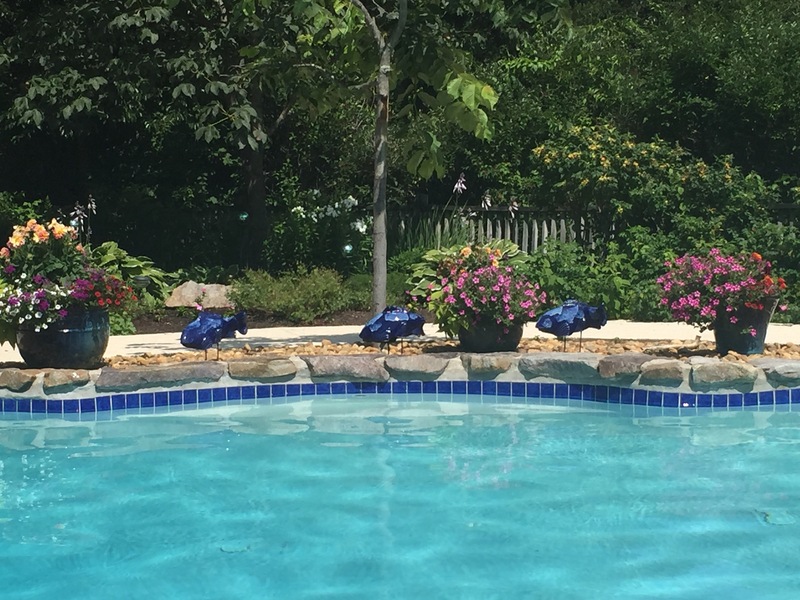 The lounge chairs are out, the inflatable rafts are blown up, the flower pots are planted and the yard is looking beautiful. The menus are still being tweaked to satisfy even the pickiest eater, and I am getting excited. This is a tradition that I started to make memories. 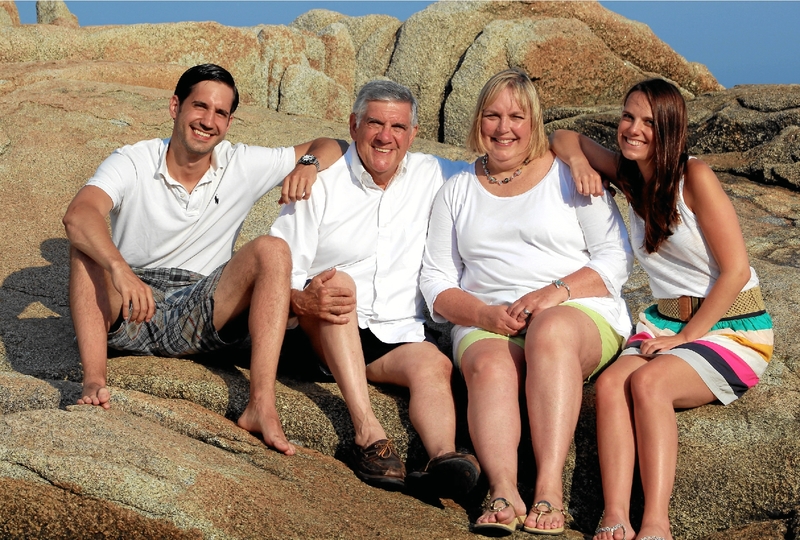 I wanted our children and grandchildren to always have the happy and fun memories of coming to Maine in the summer. 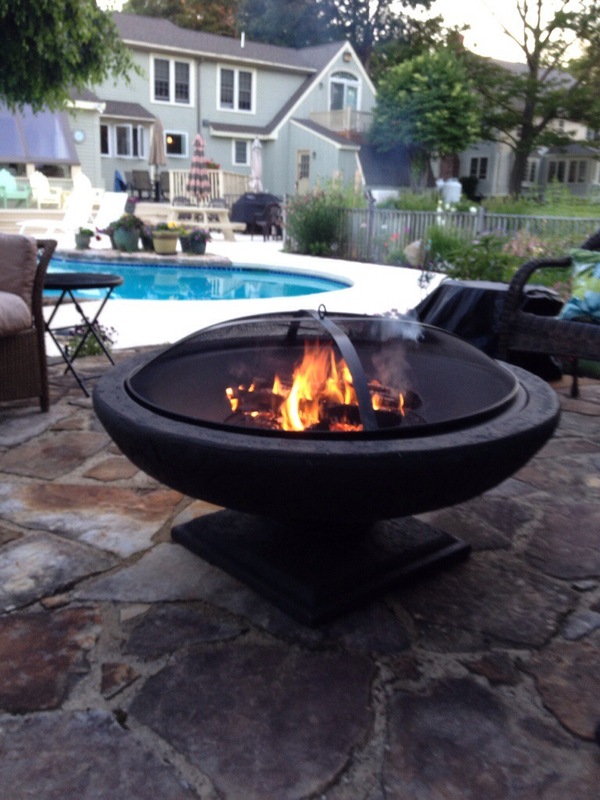 Last night we started the first fire in the new fire pit. It was a very relaxing way to end the week and a great way to get into a vacation frame of mind. For Chuck and me it will be a “stay-cation” but to be honest there is really no where we would rather be than here surrounded by family and friends. If you are traveling this weekend stay safe and have a wonderful trip. 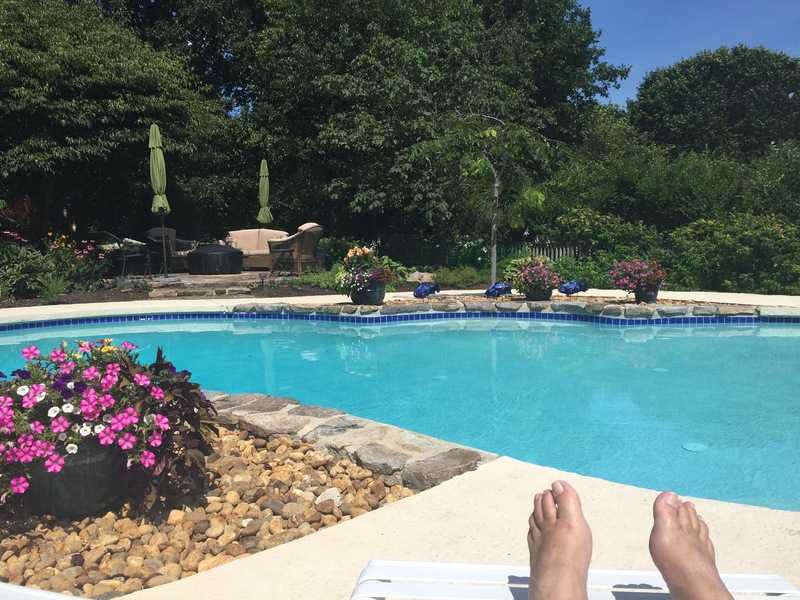 If you are enjoying a “stay-cation” have a great time.